Uncle Wiggly was formed by WFMU radio personality Wm. 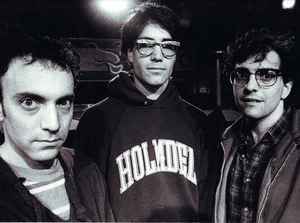 Berger with two members of the New York band Fly Ashtray, James Kavoussi and Michael Anzalone. Wm. Berger and James Kavoussi alternated as guitarist and drummer while Anzalone remained on bass. All three members sang and composed. Their sound was a complex filter of their favorite music, including early Pink Floyd, the Krautrock movement and early SST Records artists like The Meat Puppets and The Minutemen.